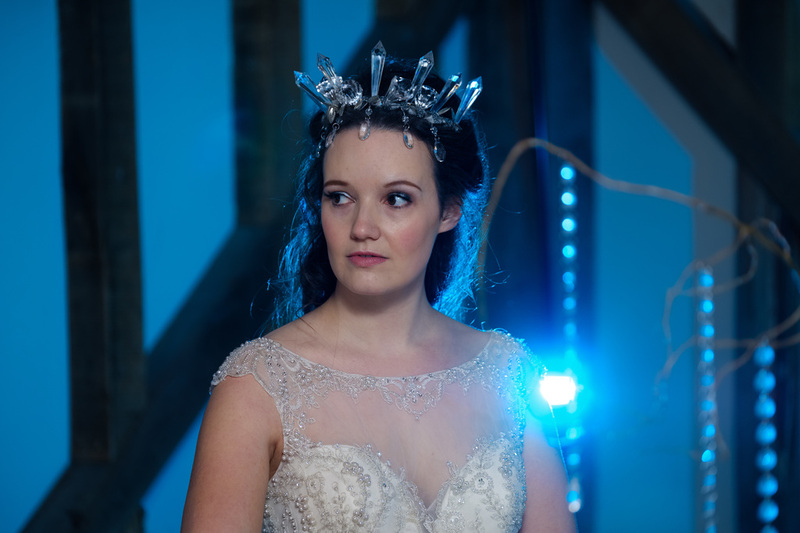 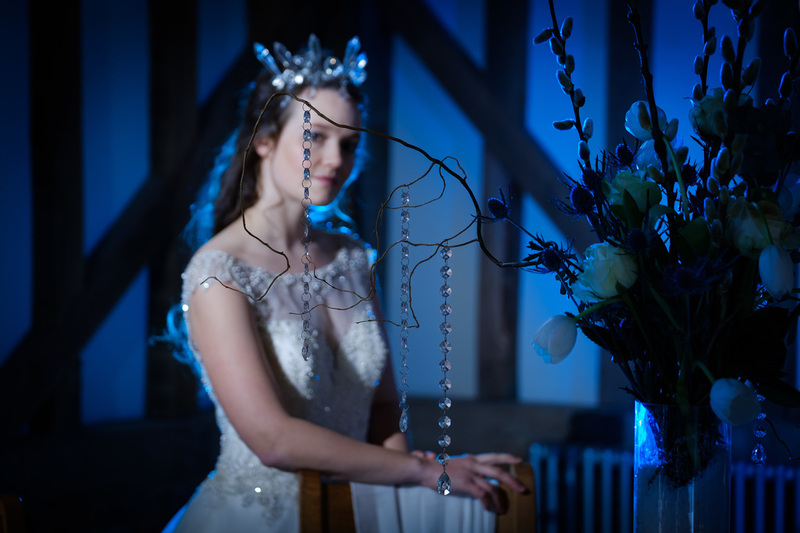 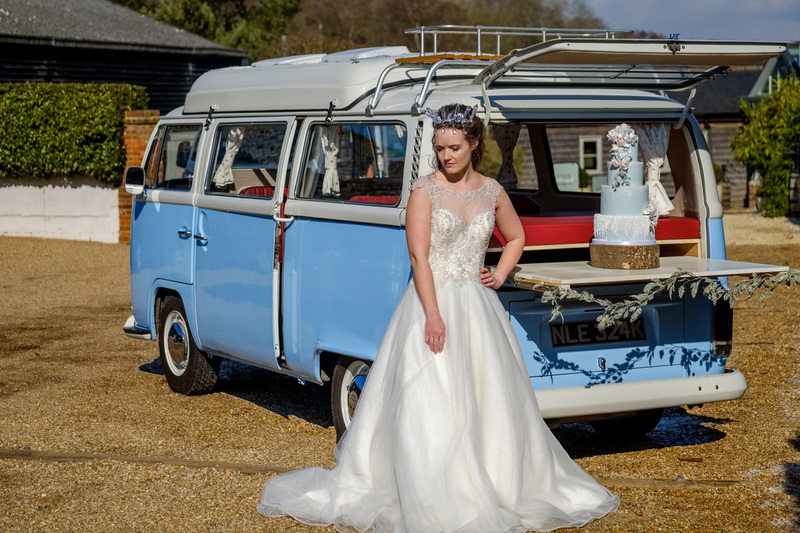 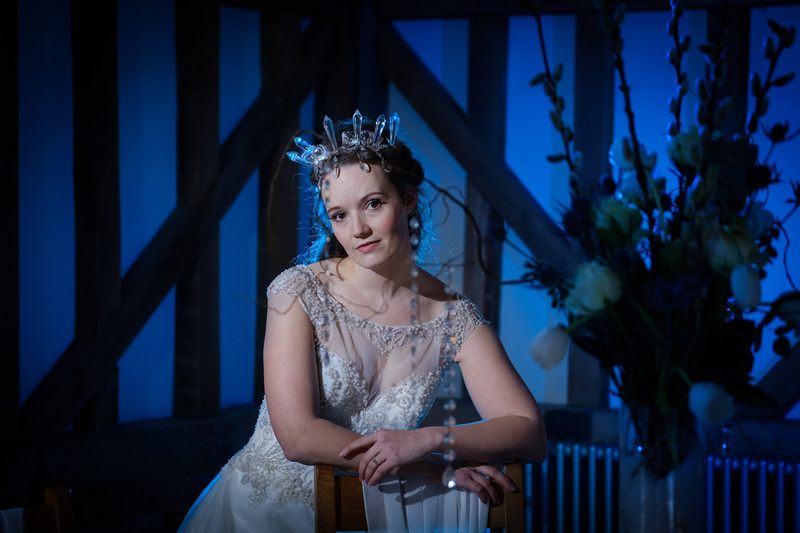 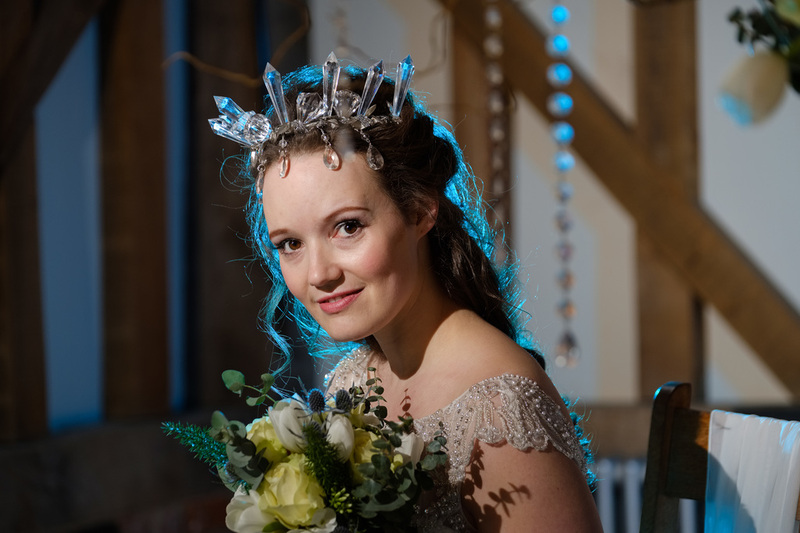 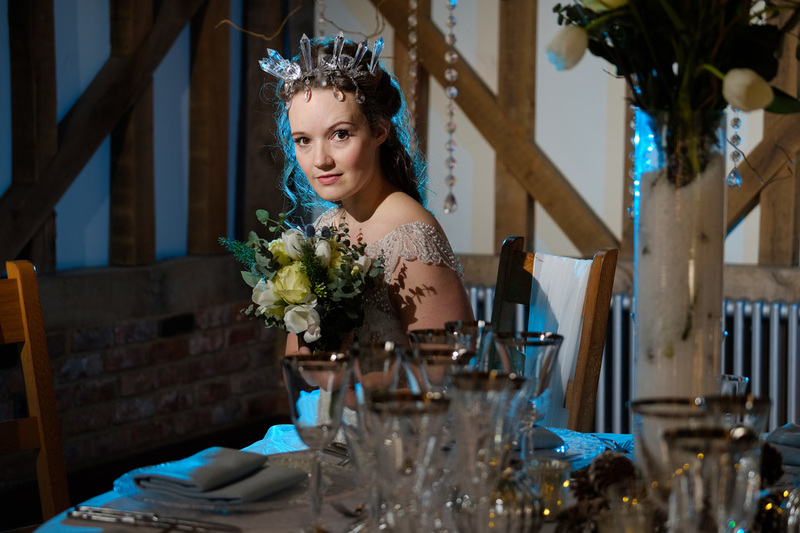 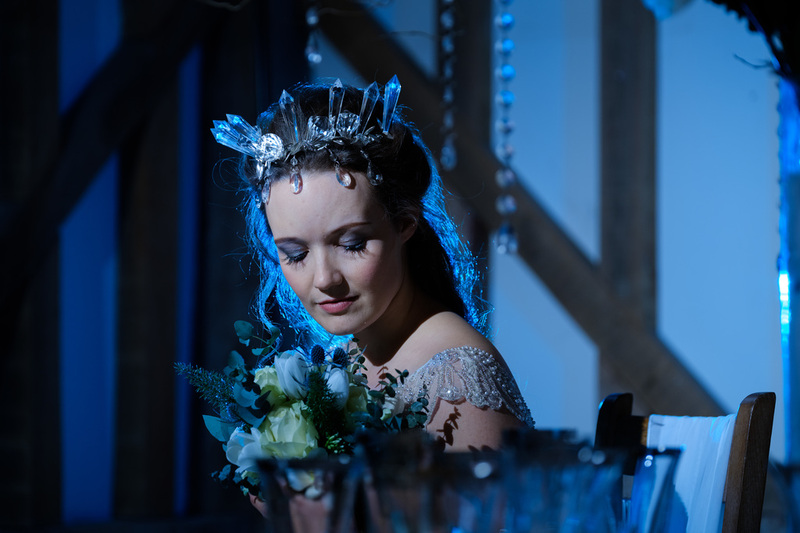 Today I am excited to share Fire & Ice – A Game of Thrones inspired Bridal Fashion Shoot at Gate Street Barn. 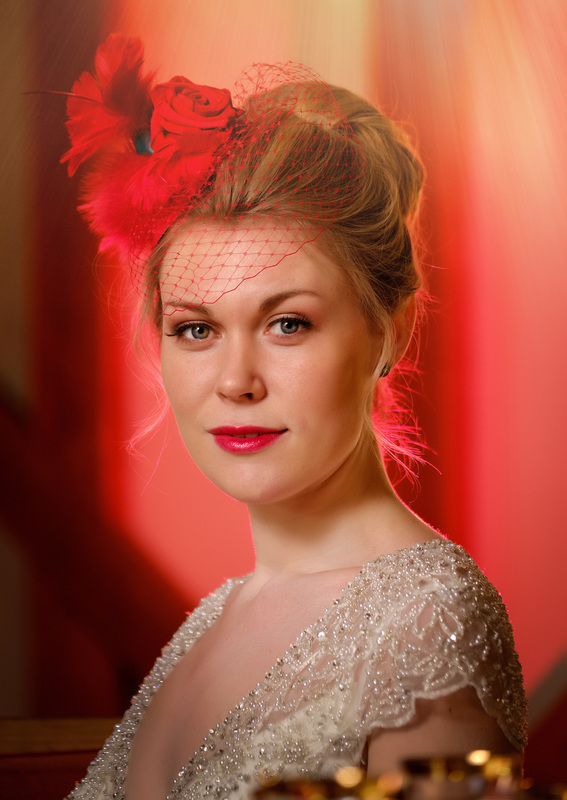 Images were captured by Chris Mann with the collaboration of an incredible creative team. 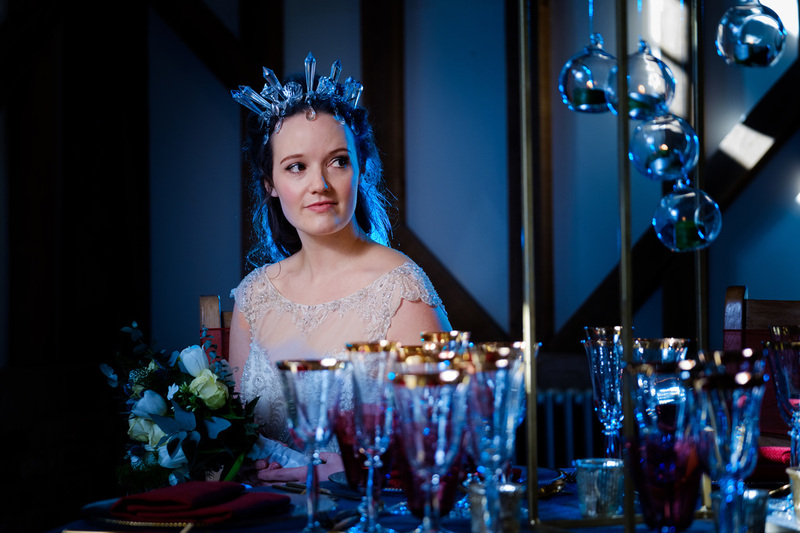 Photographer Chris Mann and hair & make-up artist Natasha Wiggins thought it would be fun to take inspiration from this TV show (“Game of Thrones”, if you haven’t guessed) and bring it to life in a bridal fashion shoot. 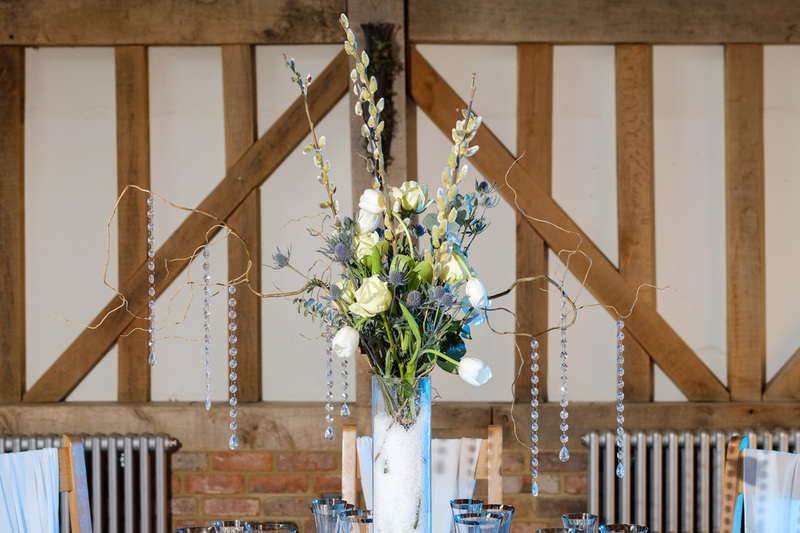 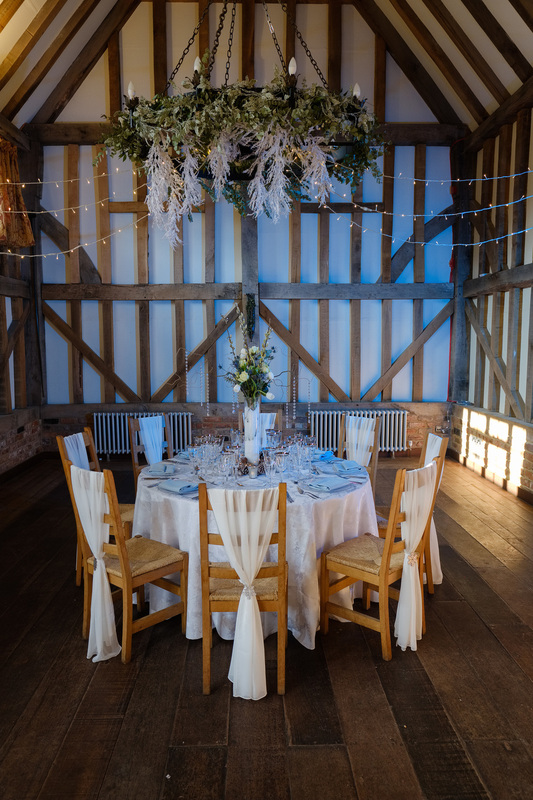 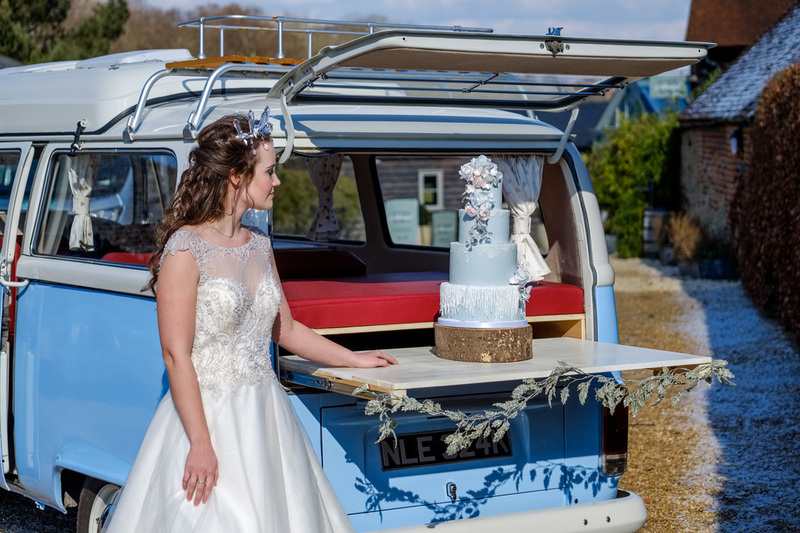 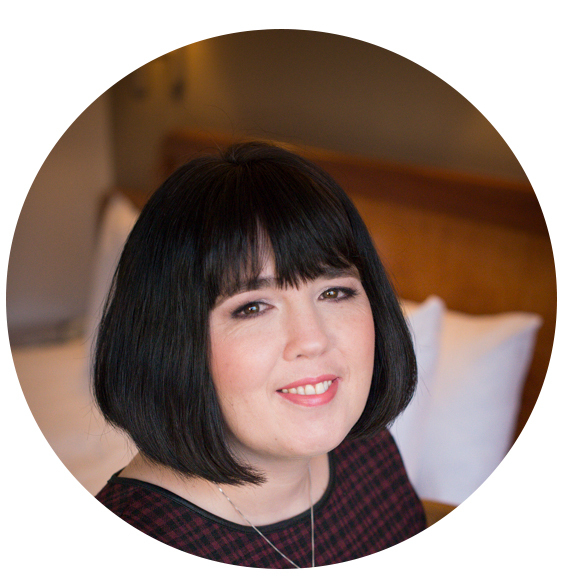 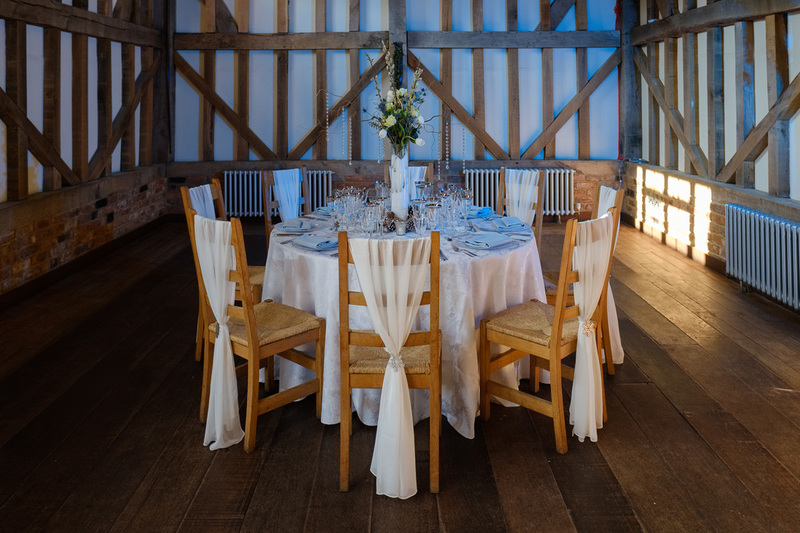 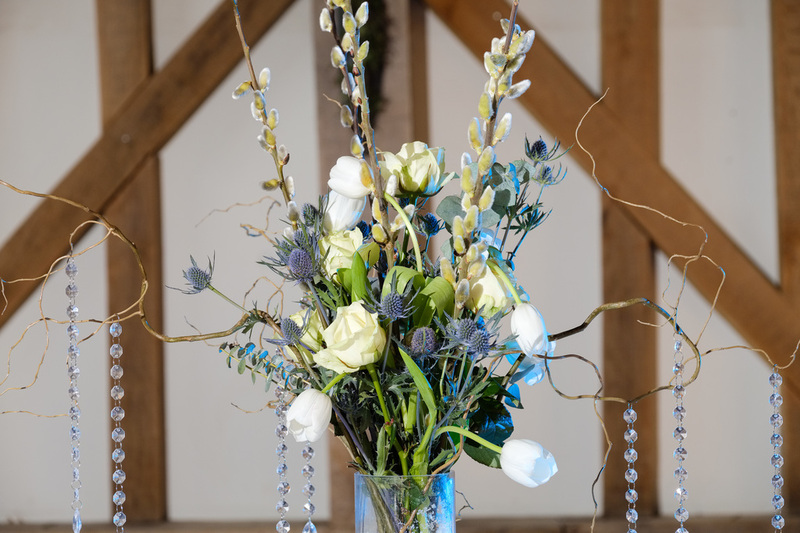 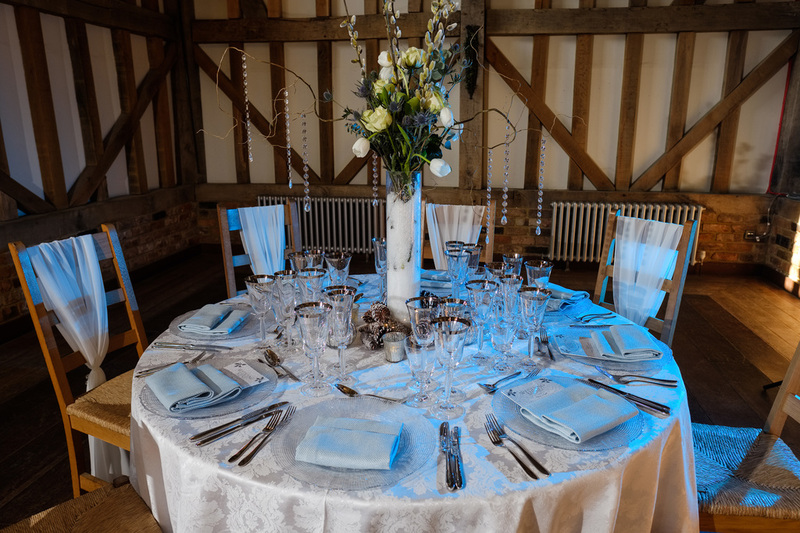 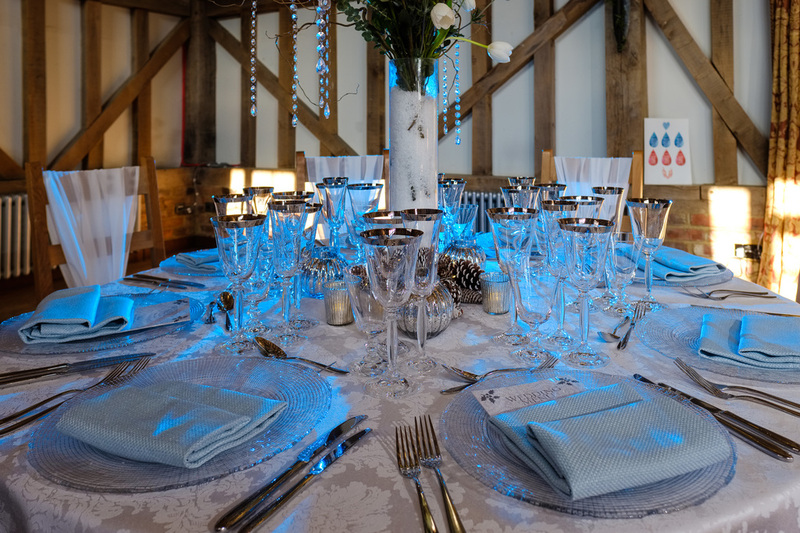 To Have and To Hire Wedding and Events did an amazing job styling the venue, aided by Crystal Hire who provided some stunning tableware and glassware to match our theme, as well as Nell’s Flowers and Gifted Heart Cakes who perfectly completed the scene-setting team. 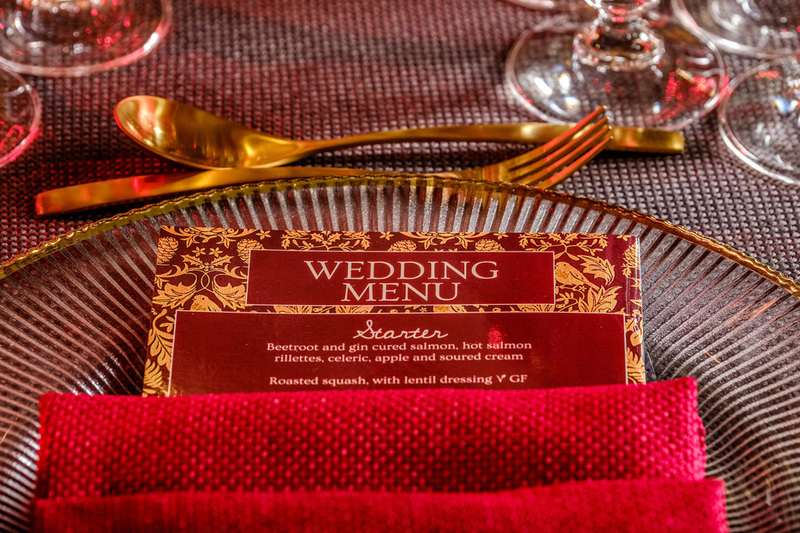 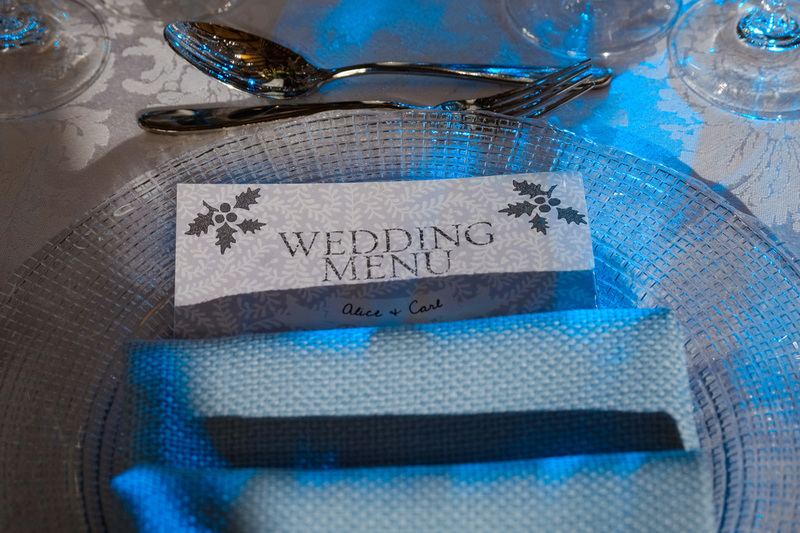 Elegant stationery and table plans were provided by Inked By Hand. 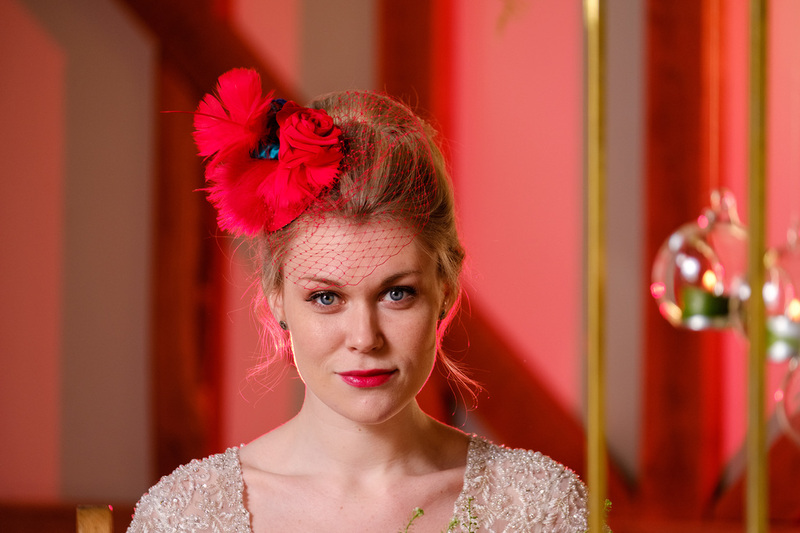 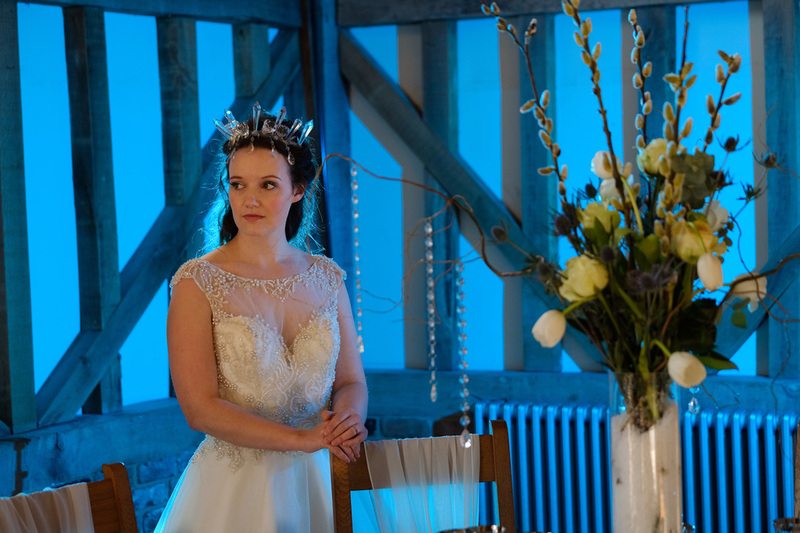 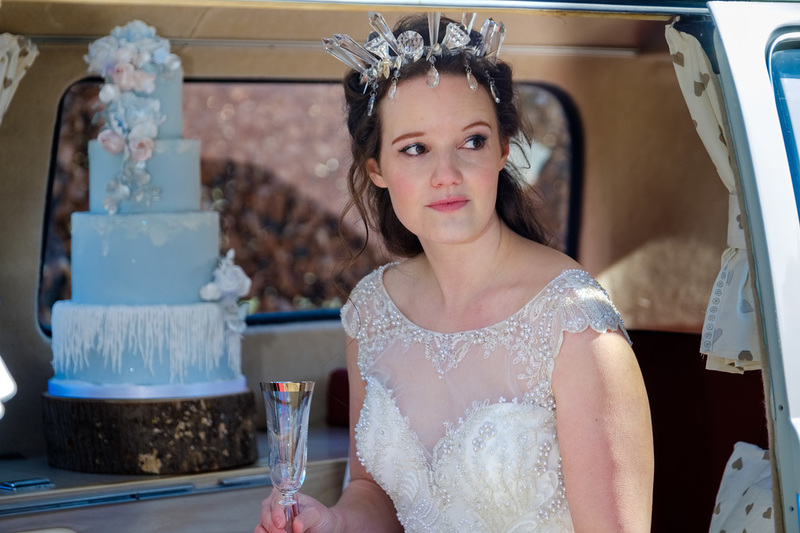 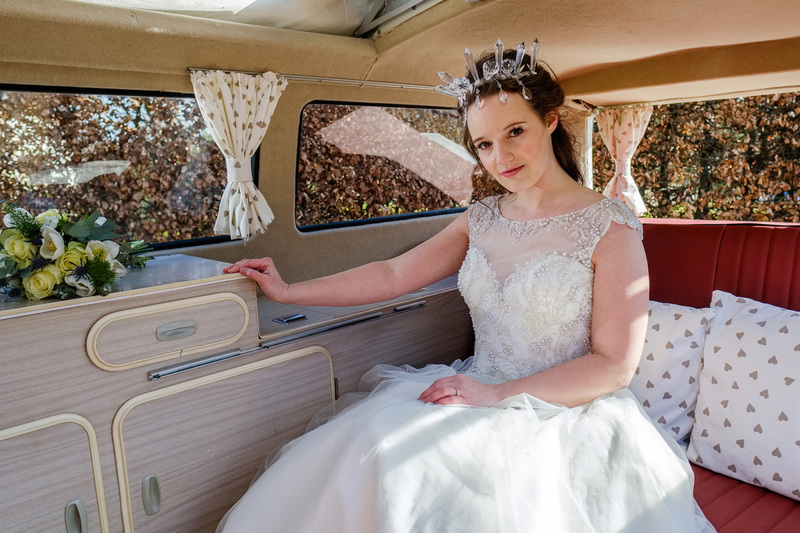 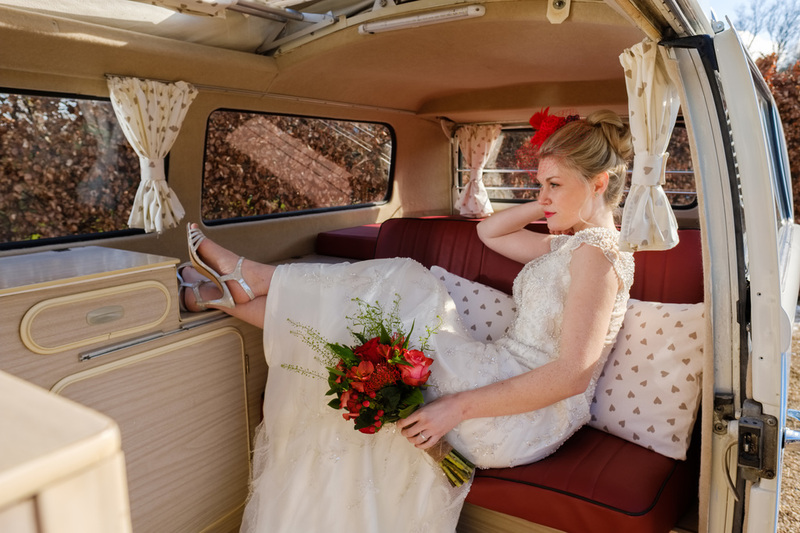 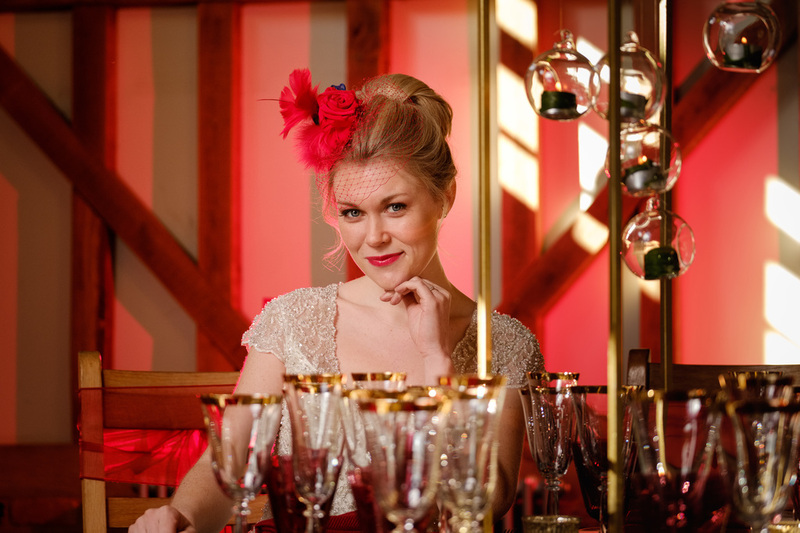 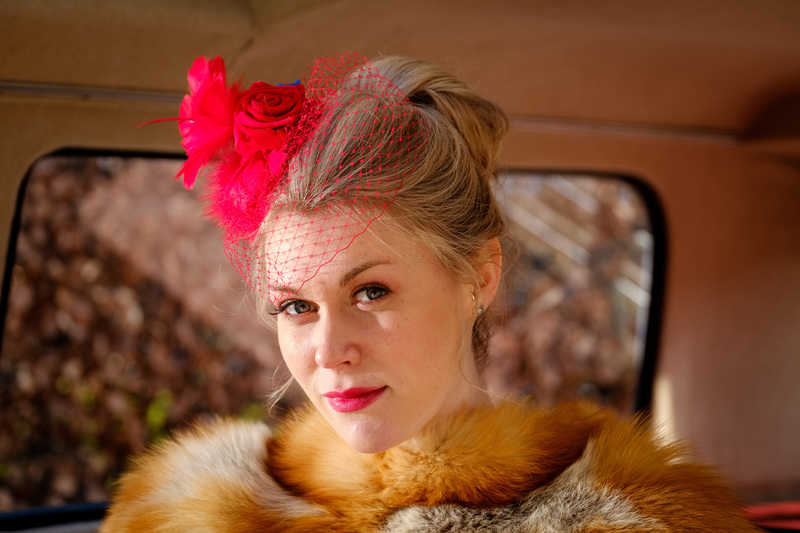 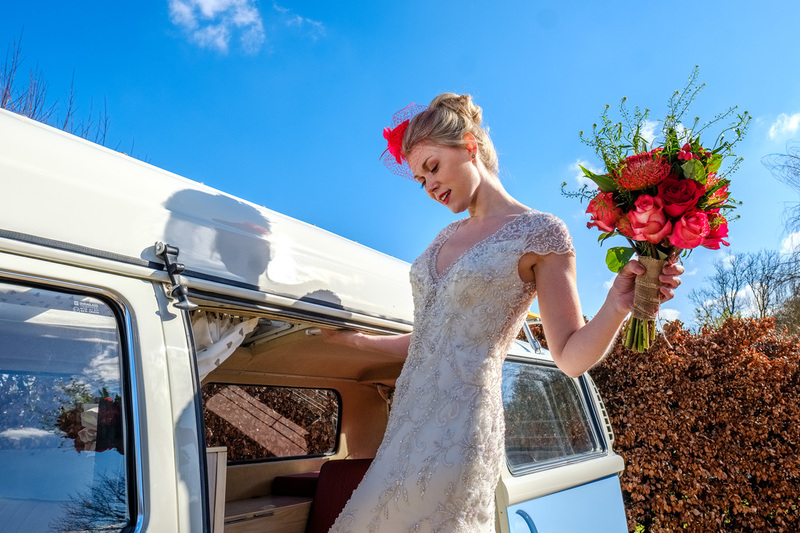 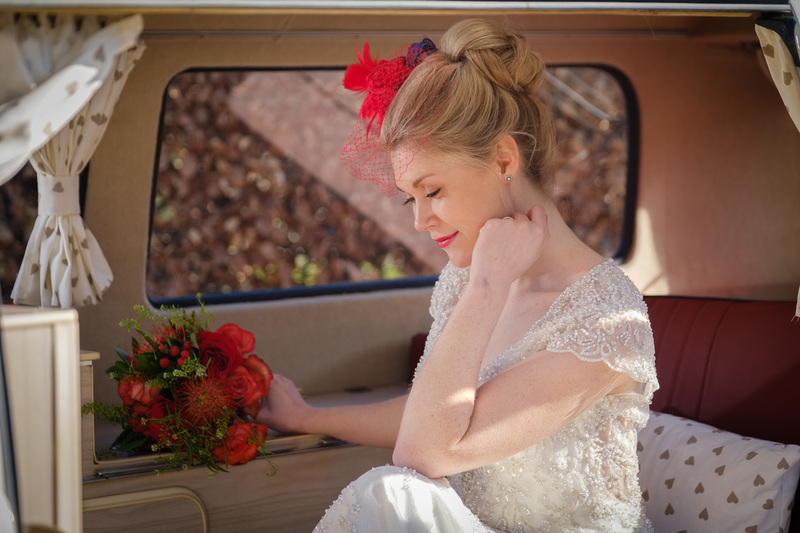 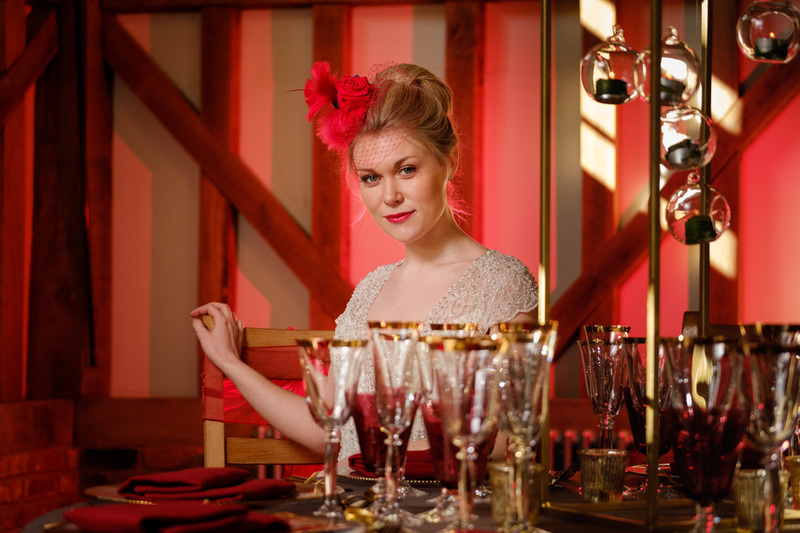 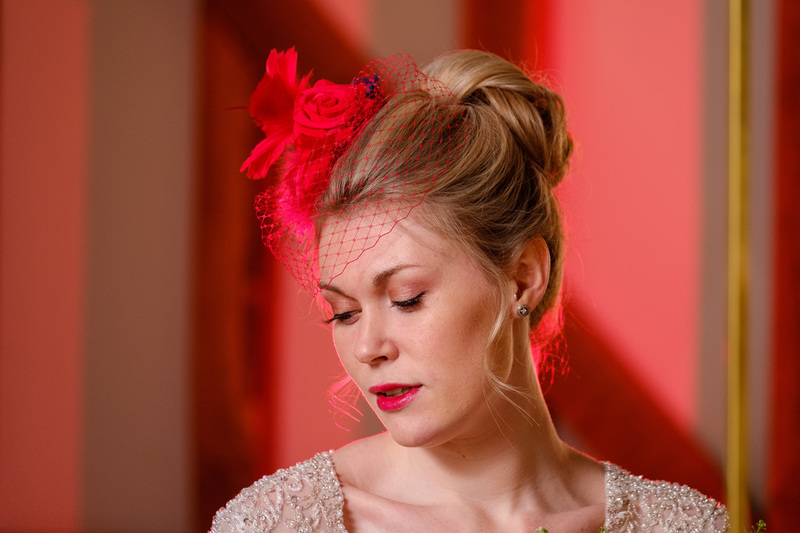 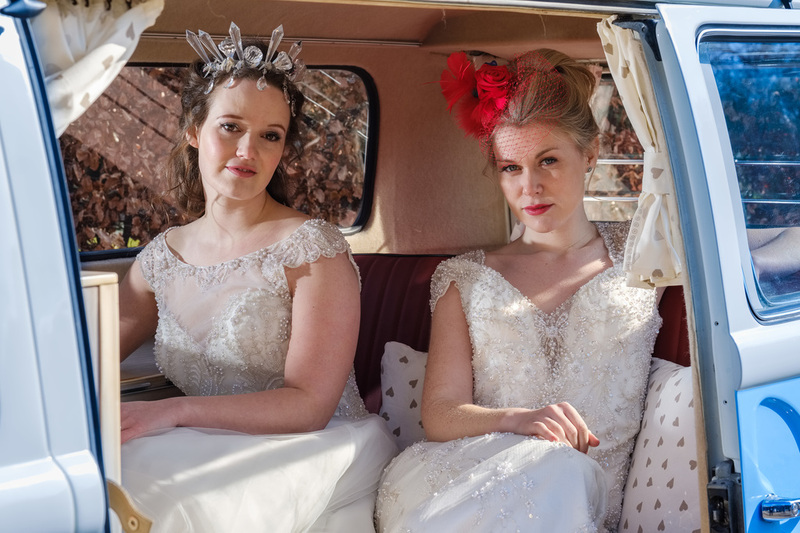 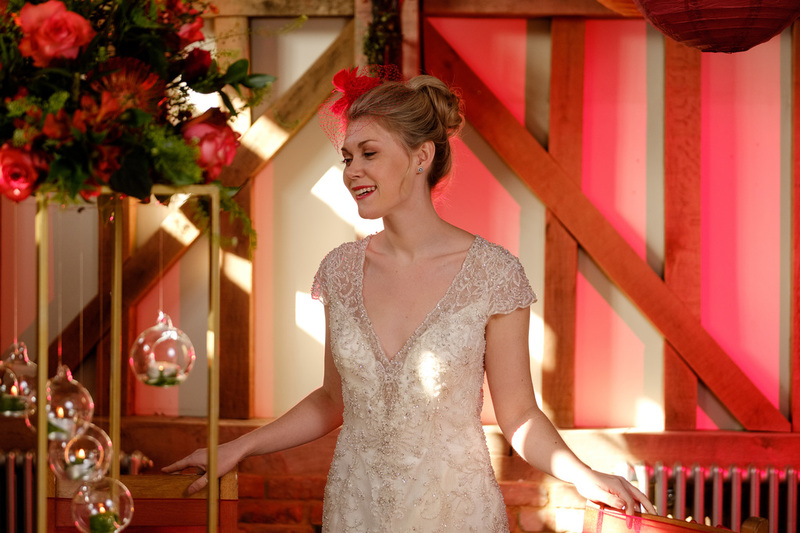 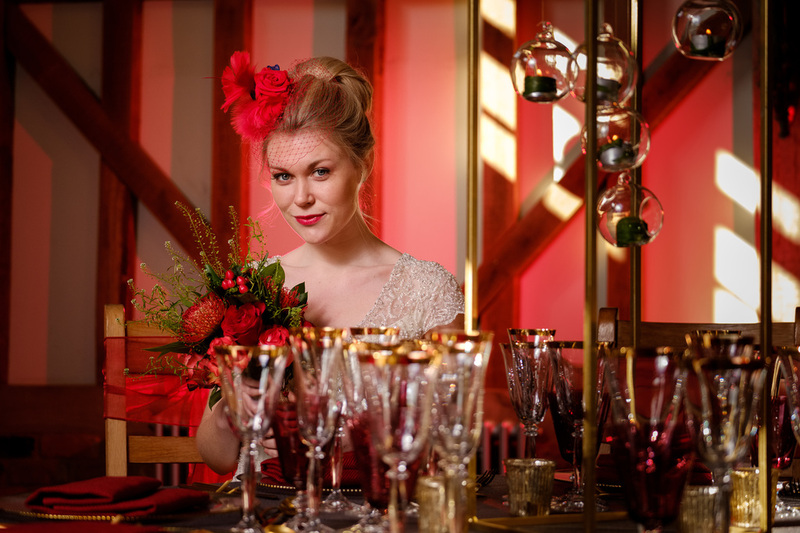 While the team styled the venue, Natasha and her team made up our two professional models, Grace Early and Lauren Falconer, whose incredible wedding dresses were provided by Hummingbird Bridal Studio, set off perfectly by the fantastic headpieces from Doll’s Mad Hattery. 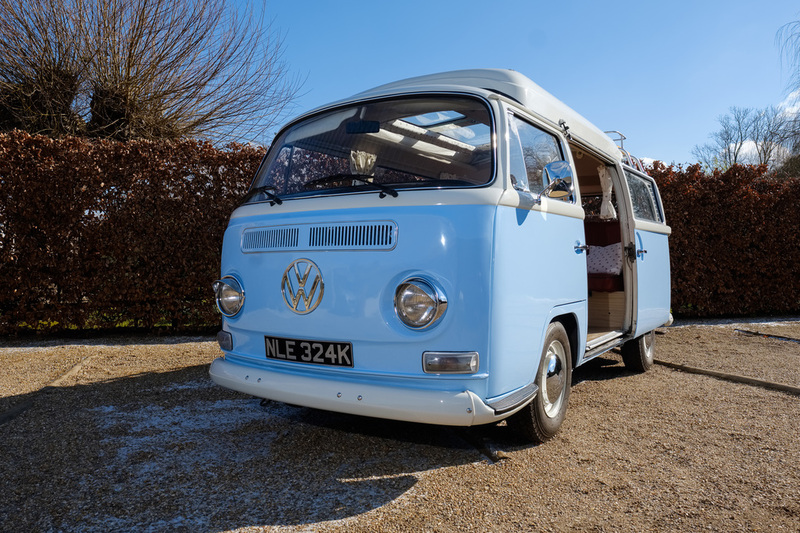 We shot most of the session inside the barn, as the weather was definitely nearer the “Ice” end of the scale not “Fire” – with a very cold wind and some snow and ice underfoot it was too cold to work outdoors most of the time… although we did venture outside for some shots with the classic VW camper van provided by Borrow Mae. 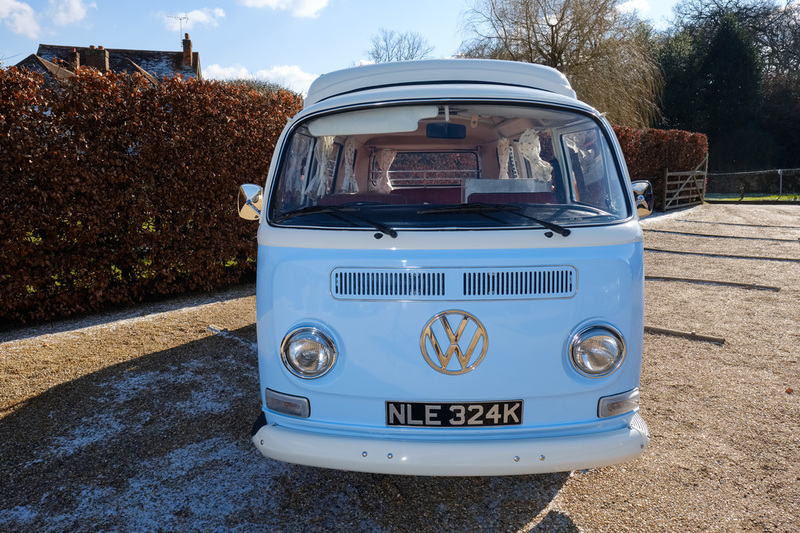 We were fortunate to have some blue sky which made it look a lot less wintry than it was! 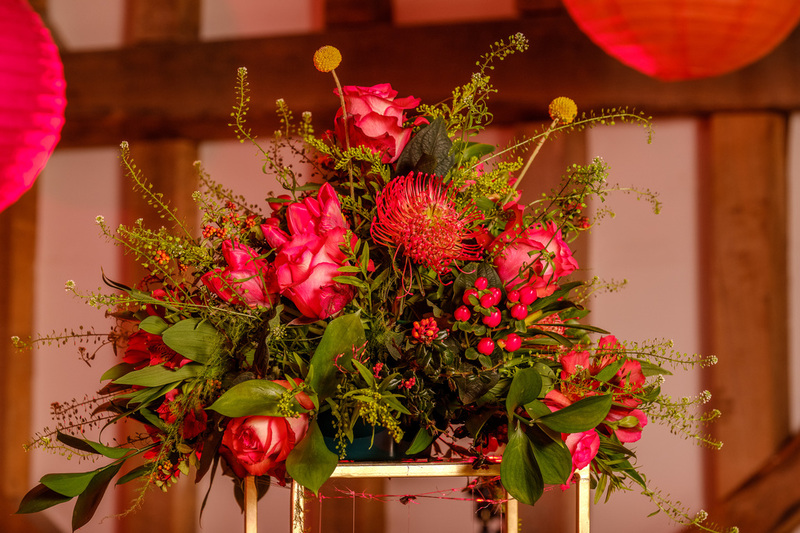 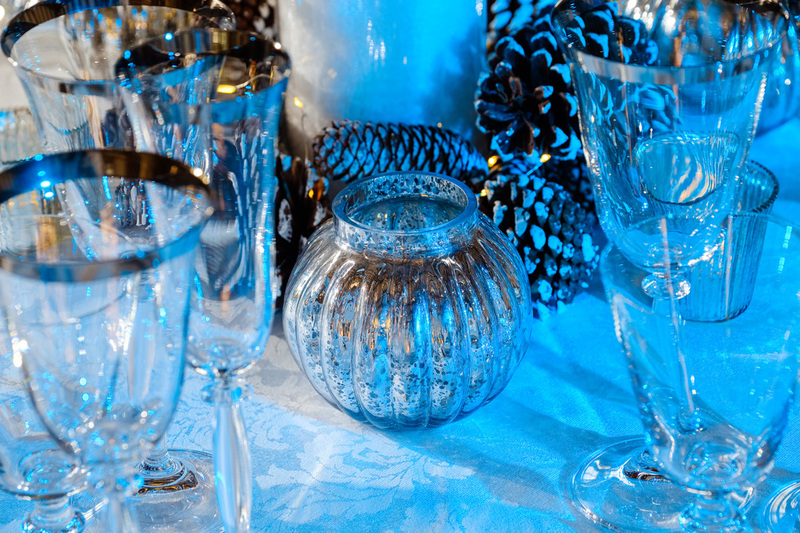 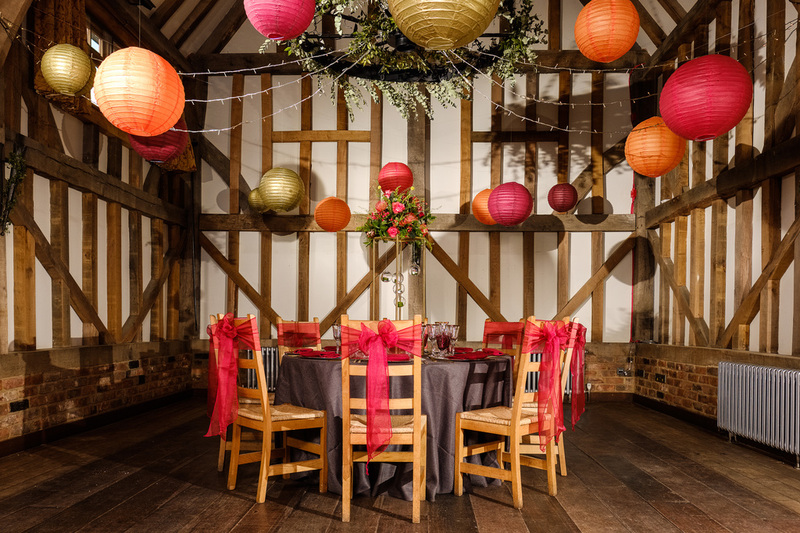 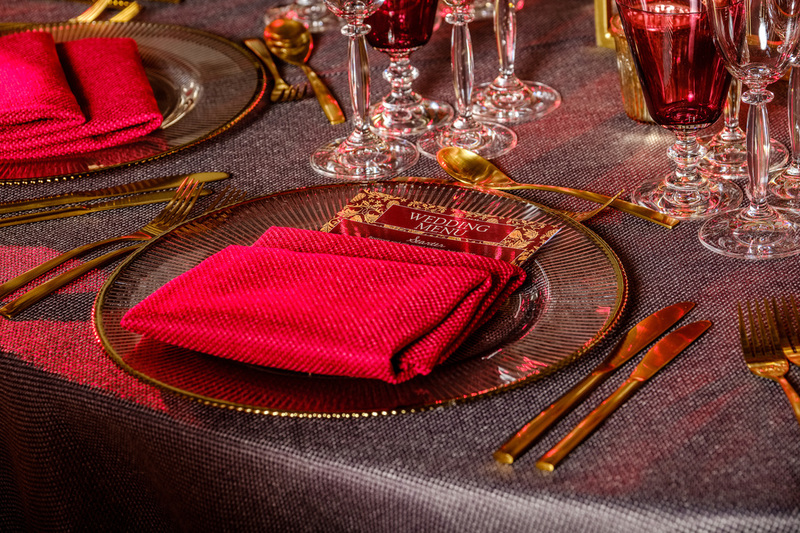 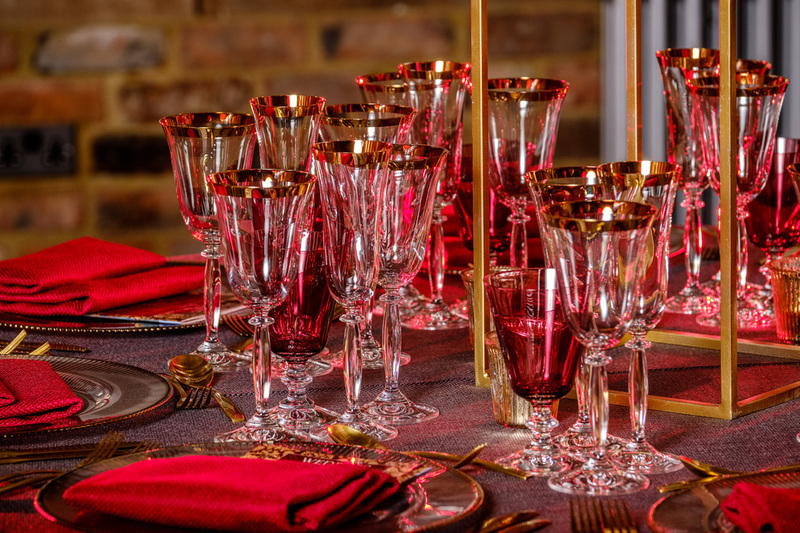 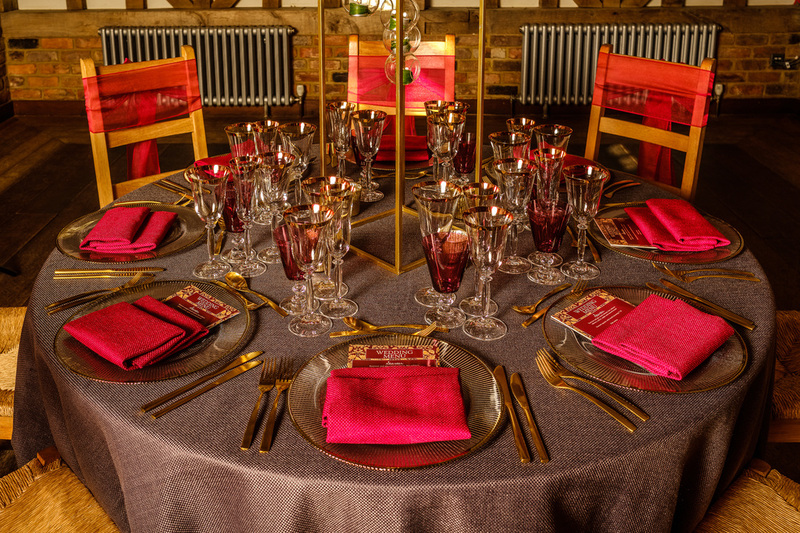 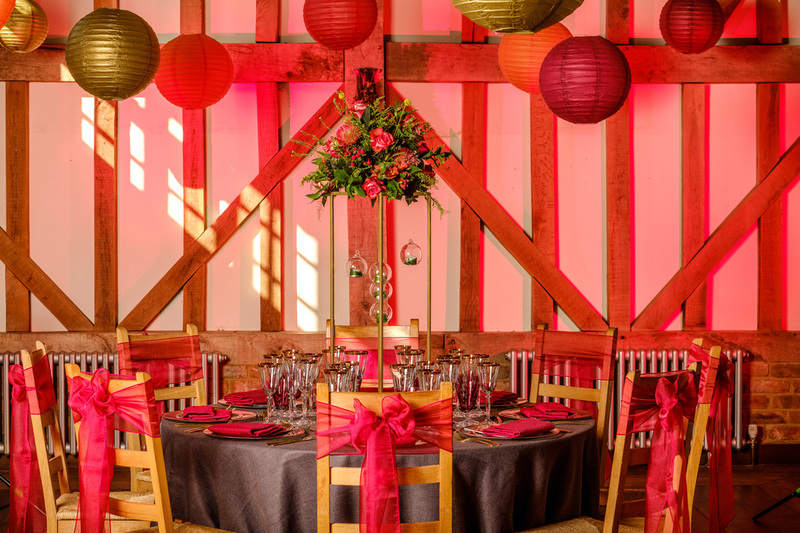 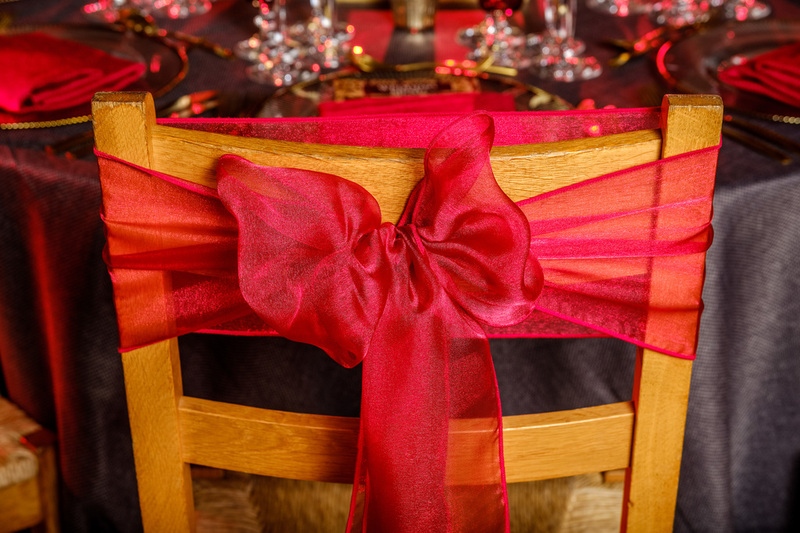 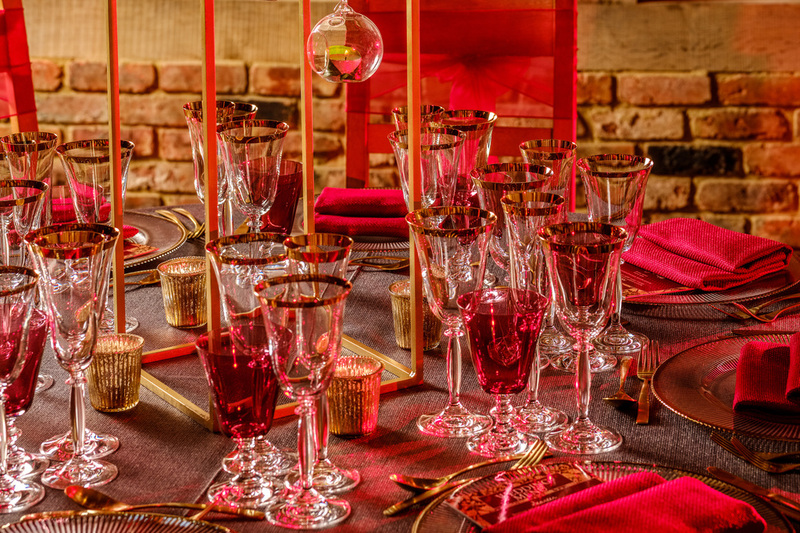 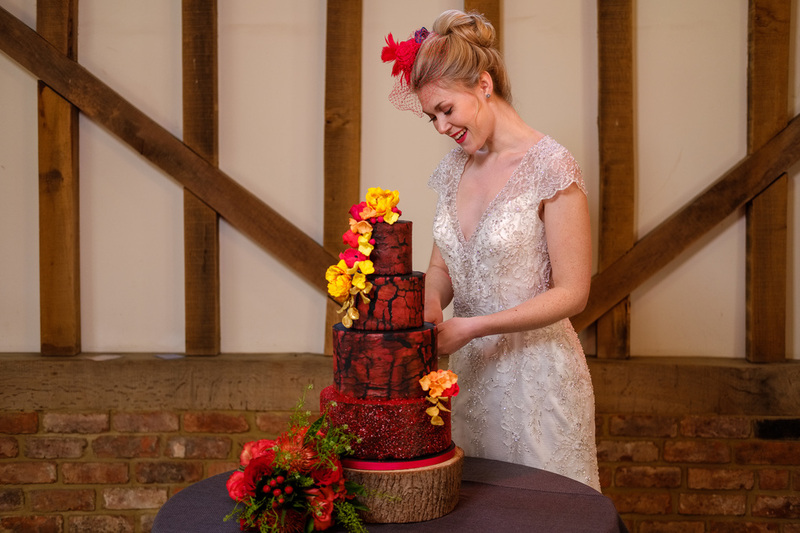 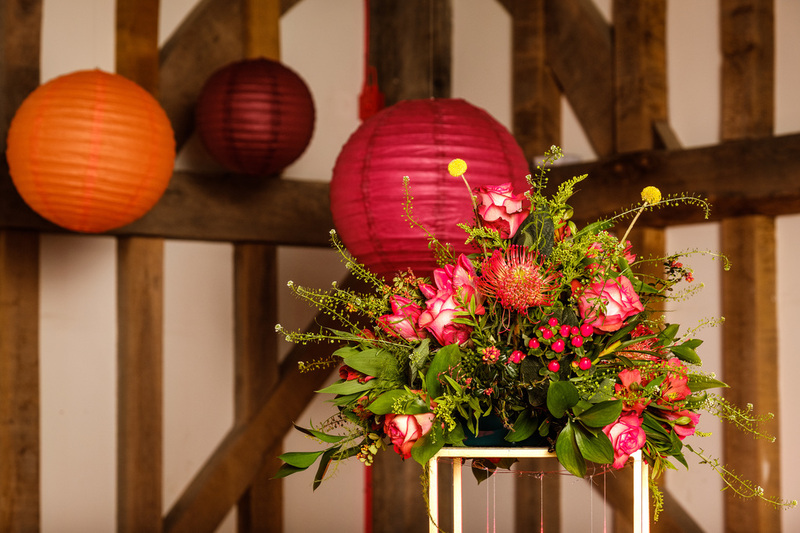 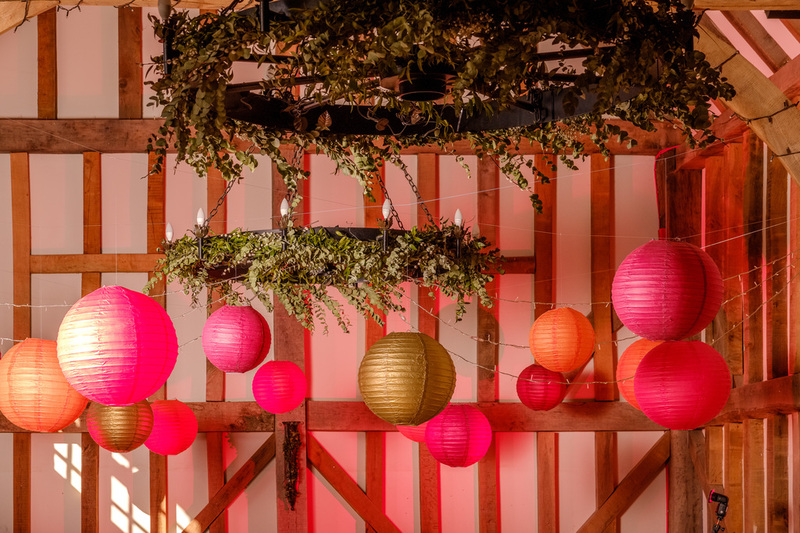 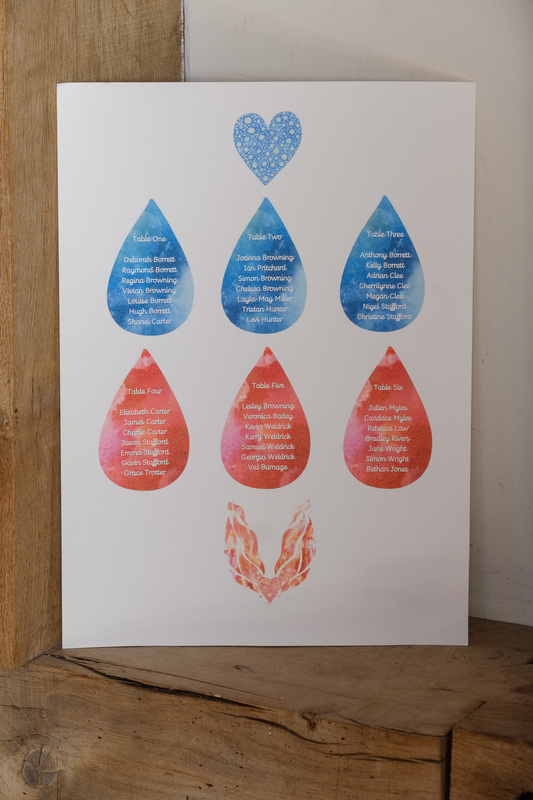 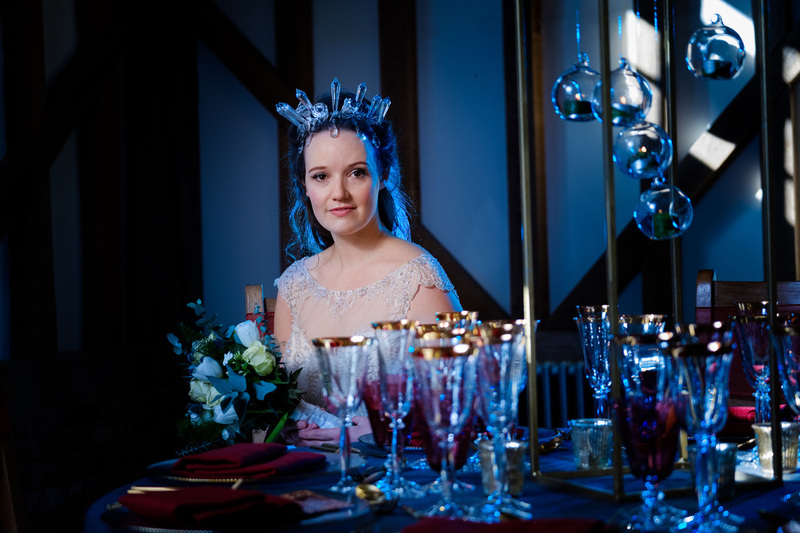 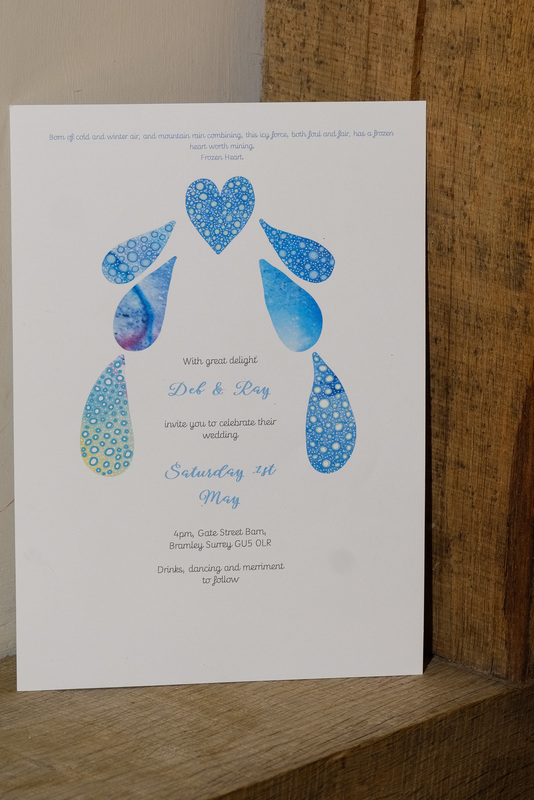 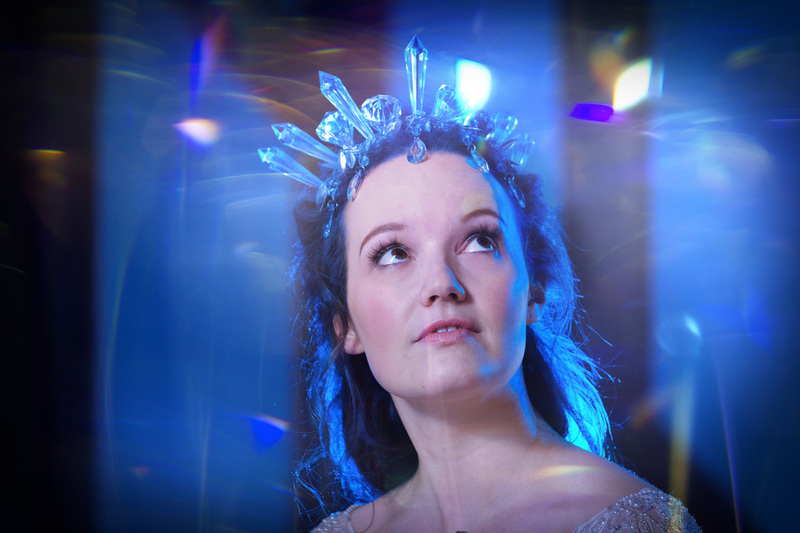 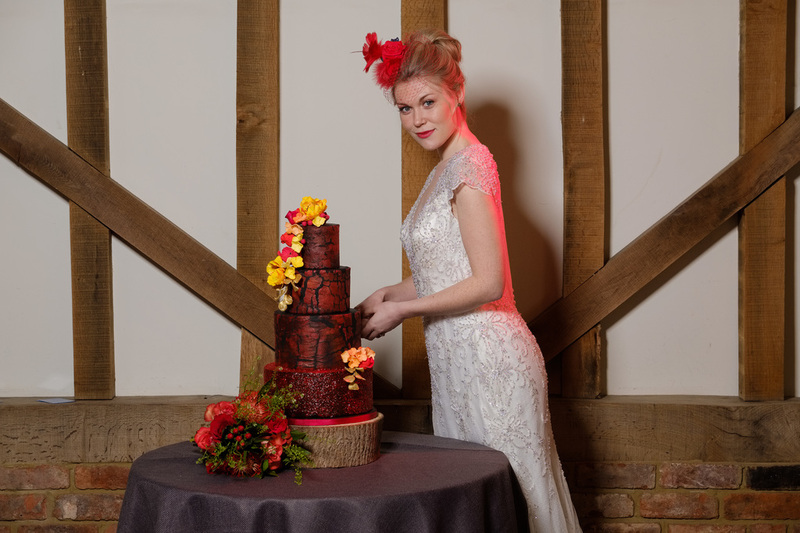 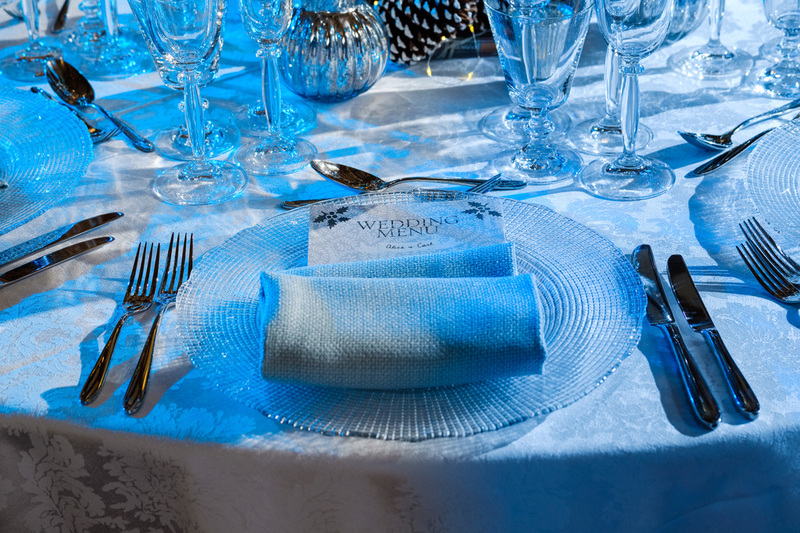 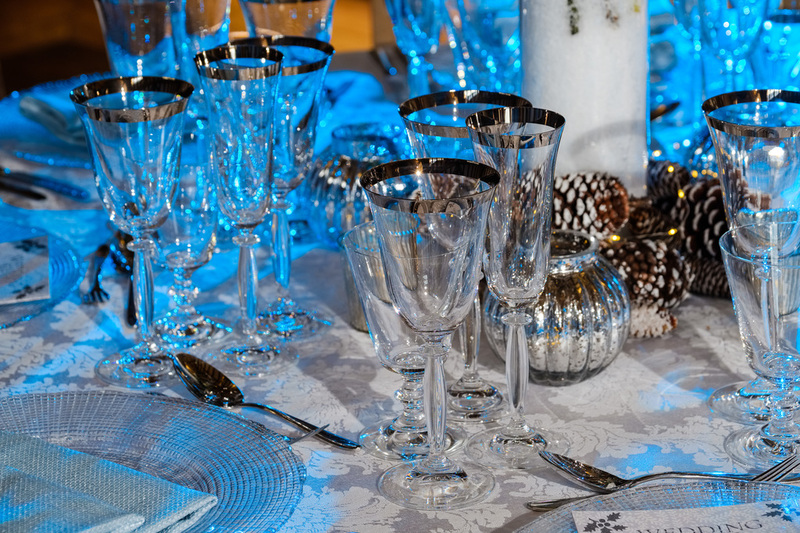 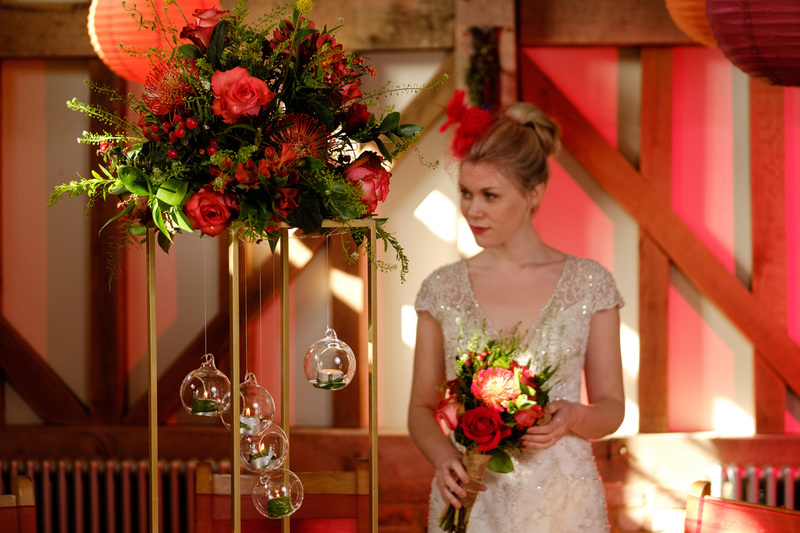 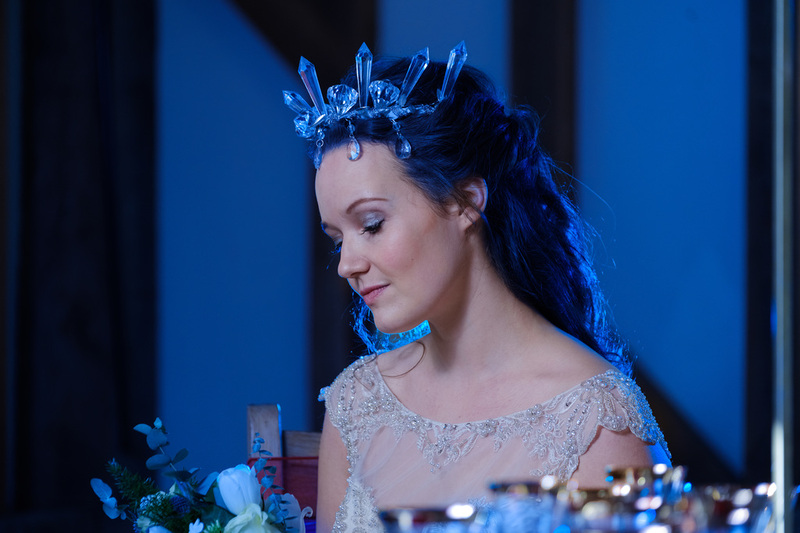 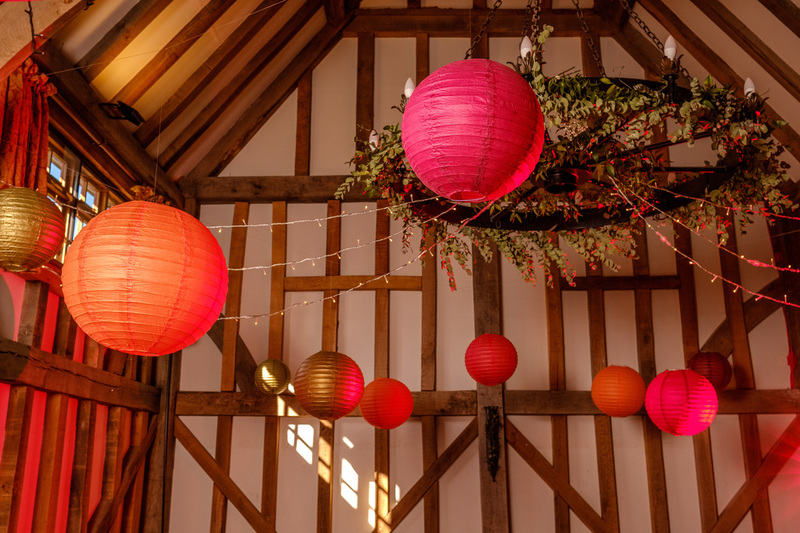 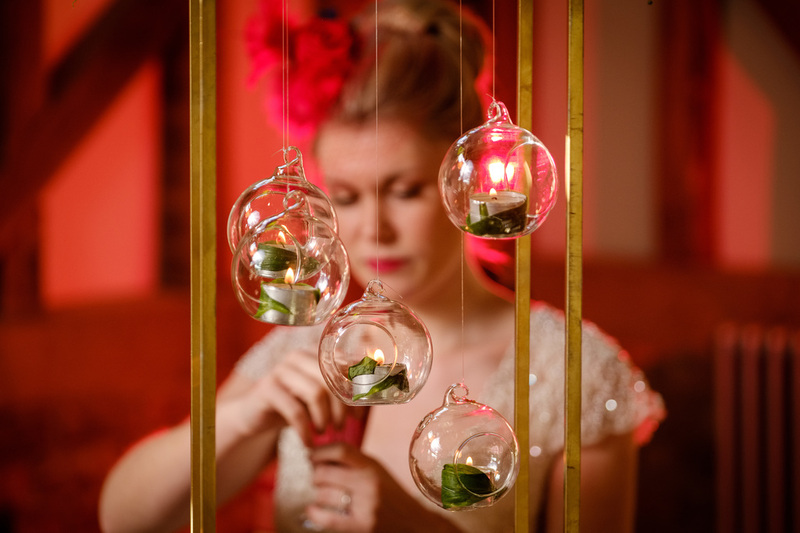 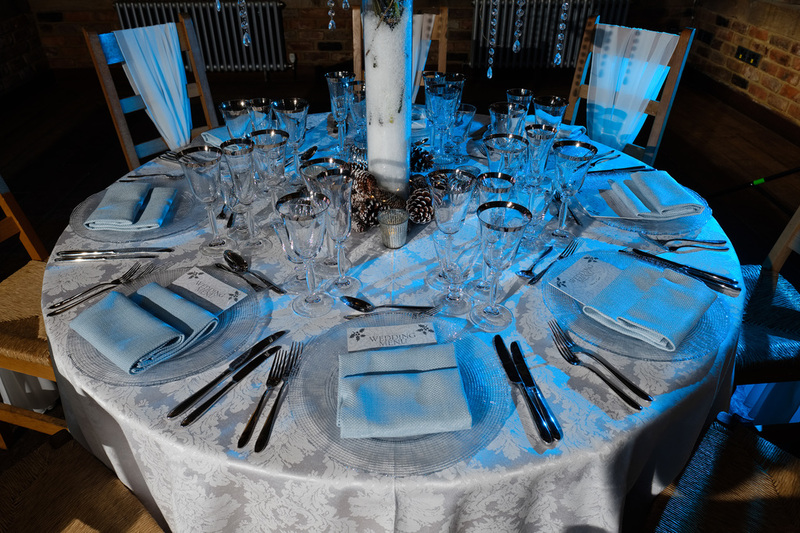 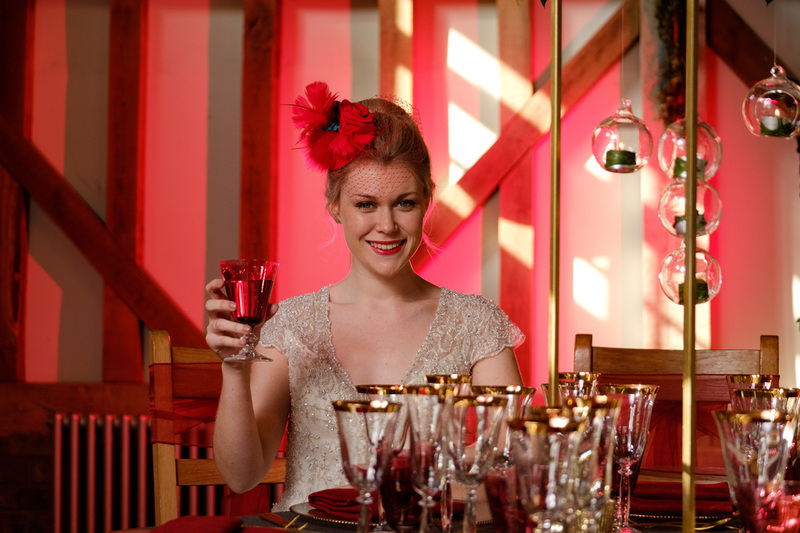 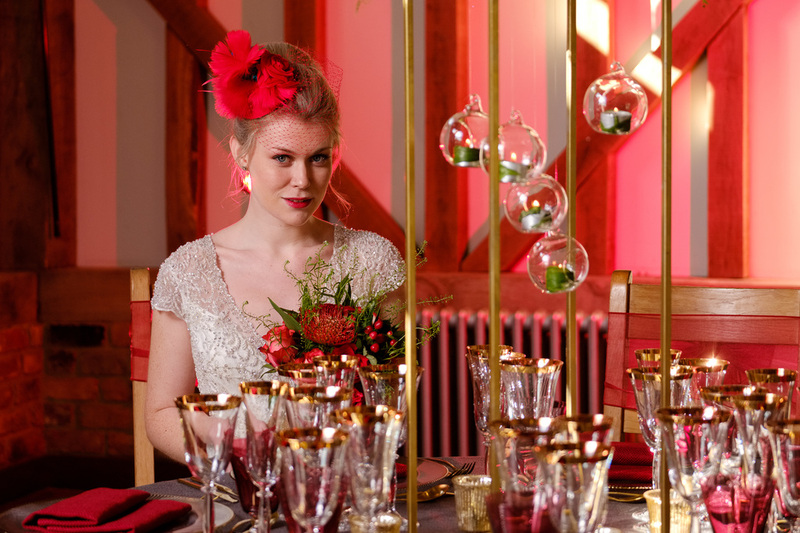 Chris used coloured lighting to create the look of ice and fire – not too complicated to do, and certainly it could make for a really fun theme for a wedding if you fancy playing the part of mediaeval monarchs! 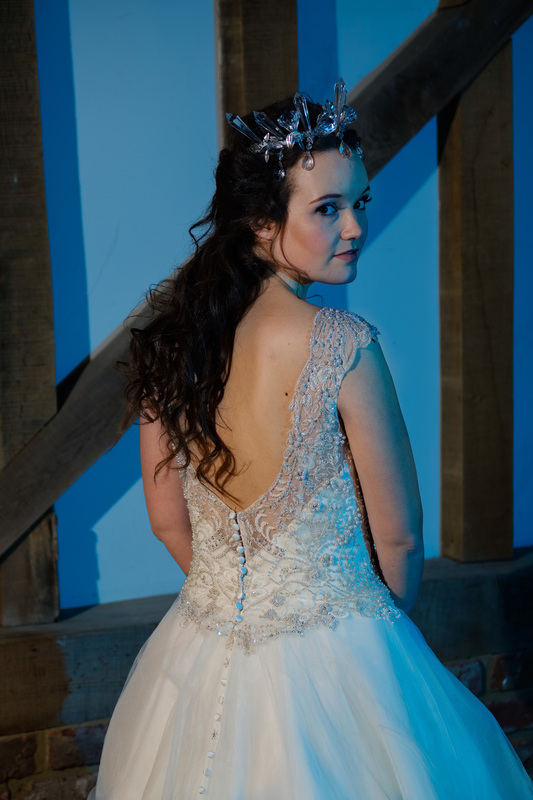 The only thing I’m not sure of is where you’d get a dragon from!